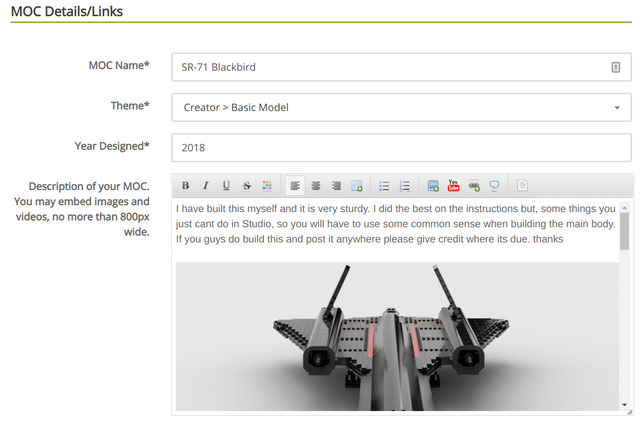 The main MOC image is used in all thumbnails and the default image at the top of the MOC’s page. You can update this image via the Admin tab of your MOC. You can setup a slideshow gallery to replace the main MOC image (it always keeps the first image as the one you uploaded). This is done by adding your images to a publicly accessible Bricksafe page and linking to it via the More Details field under the Admin tab. 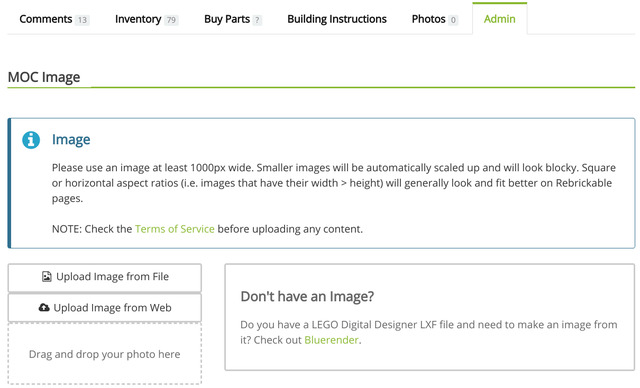 Be sure that any images in the linked Bricksafe page are specific to that MOC as it will just take the first 8 images it finds. 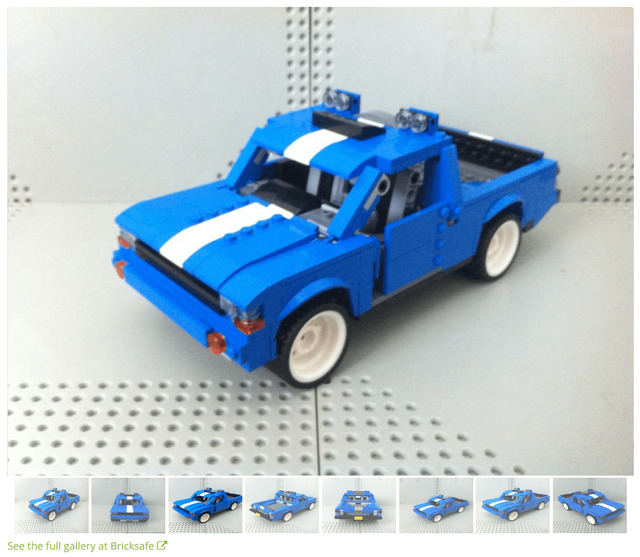 It only works by linking to external images (eg Bricksafe, Flickr, etc), you cannot upload more than the single main image to R. These images will be scaled to display properly in browsers/phones so do not make them too large or they will slow down your pages. A maximum width of 1000px is recommended. 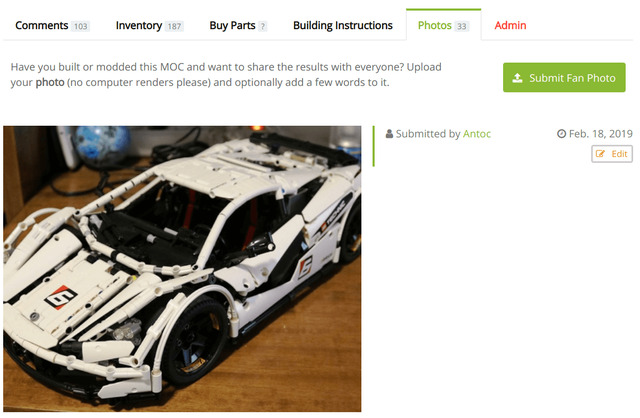 Additionally, fans of your MOC that build it in real life can upload photos which you can see under the Photos tab. This is not meant for the MOC Designer to upload additional photos, that is done via the methods above.